The Hoshino Gakki company began in 1908 as the musical instrument sales division of the Hoshino Shoten, a bookstore company. The Ibanez brand name dates back to 1929 when Hoshino Gakki began importing Salvador Ibáñez guitars from Spain. After Telésforo Julve bought the company in 1933, Hoshino Gakki decided to make Spanish acoustic guitars in 1935, at first using the "Ibanez Salvador" brand name, and then later using the "Ibanez" brand name. The modern era of Ibanez guitars began in 1957 and the late 1950s and 1960s Ibanez catalogues show guitars with some wild looking designs. Now players such as Steve Vai, Joe Satriani, John Petrucci, Pat Metheney, and George Benson have signature models. 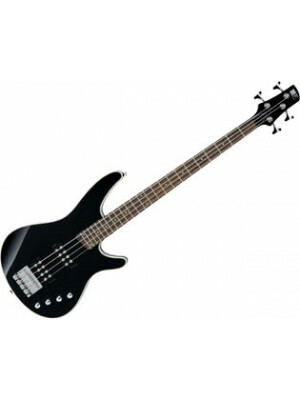 ﻿The Ibanez SRX360 Bass Guitar features PFR Pickups and an EQB-IIDX EQ. These powerful full-range pa..